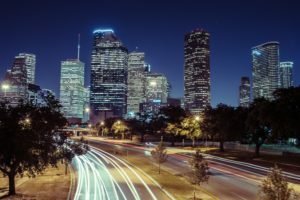 Houston has recently landed on several “best of” lists, including the Travel + Leisure roundup of America’s Favorite Cities and the Hotwire.com index of most affordable U.S. vacation destinations. Houston’s downtown convention district, Avenida Houston, (pictured above) has been transformed into one of the most dynamic entertainment and hospitality campuses in the country. The Avenida Houston campus includes the George R. Brown (GRB), Discovery Green park, Hilton Americas-Houston and the new Marriott Marquis. Avenida Houston will take your Houston experience to the next level. Houston’s newest dining, entertainment and arts district offers excitement for conventioneers, guests and locals alike. Experience cuisine from all around the world, relax in the Texas-shaped lazy river at the Marriott Marquis, delight in live music on Avenida Plaza, enjoy the fantastic views of the Downtown or catch a game at one of the area’s three professional sports venues. Five unique restaurants are housed within the GRB and Partnership Tower. All restaurants will be open daily and can be accessed from the Avenida or level 1 of the convention center. Make the Star of the South Dental Meeting your destination of choice for quality continuing education and take time to visit Houston! For more information, Like “Visit Houston Texas” on Facebook.